Despite Cuba’s unique and diverse qualities, tourists often stick to one area (frequently Havana or Varadero) – it’s a big island, after all! 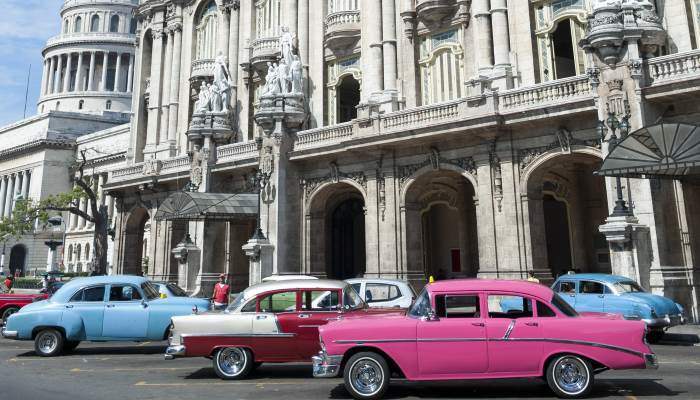 Travelling around can be time consuming if you don’t have a hire car, but there are ways of doing it thanks to Cuba‘s dependable, if not always punctual public transport. Let’s assume that your journey will start in Havana. One of the first questions you’ll need to ask yourself when you arrive in this vibrant colonial city is how to get around it. And before you get the chance to think about it, the answer will appear before you in a Technicolor flurry. These classic cars were transported over to the island from the USA before the 1960 embargo blocked all commerce between the two countries and appear in every shade of the spectrum. A large proportion of them have been modified to make them easier to drive, and, with less than favourable road conditions putting extra strain on them, they’ve really stood the test of time. Step out onto the streets of Havana and you’ll see Buicks, Cadillacs and Chevys chugging past, many of them sporting a taxi roof light. For a small fee, you can hitch a ride in one of these vehicles. But be prepared to share with other passengers. To get out of the city, one of your options is with Viazul, a coach company which offers travel between a number of towns and villages around the country. 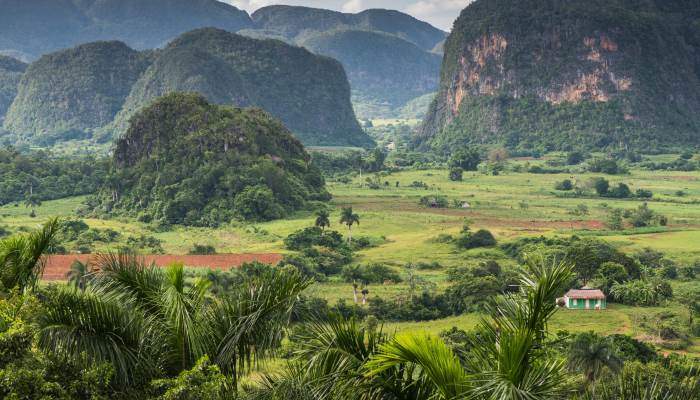 a four-hour journey west of the capital will take you to Vinales, whose languid demeanour attracts tourists to the town for a glimpse into rustic Cuban life. Wooden bungalows with porches make up much of the architecture of the place, with horseback and bicycle being the residents’ preferred mode of transportation. Swathes of burgeoning tobacco fields paint the landscape a vibrant green and the curved mogote hills sprout indiscriminately from random patches of ground. Leaving Havana at 8.40 in the morning means you’ll arrive in this idyllic town at 12.45, giving you a whole day to explore it, or more if you choose to stay the night. Next, you can head to Matanzas. Alternatively, if you want to omit Viñales from your schedule, you can cycle from Havana to Varadero and pass through Matanzas on the way. Relatively quiet roads make this journey feasible, as do the abundance of Casa Particulares, or B&Bs, that mark the route. Depending on how leisurely you cycle, this trip could take between one and three days. Praised as the island’s cultural epicentre, Matanzas is the birthplace of Rumba, and has been home to a number of notable poets and artists over the past few centuries. Sauto and Sala de Conciertos José White theatres have been breeding new generations of actors and theatre lovers since the 19th century, while the Marina neighbourhood is enlivened by street performers whose faultless rhythm add to the palpable heartbeat of the city. Varadero, the country’s largest seaside town, is visited by flocks of sun seekers drawn to its bleached beaches. It’s not uncommon to find huge conch shells washed up on its powdery sands, but don’t get attached – it’s illegal to take them out of the country and they’ll most likely be taken from you by airport security if you try to. 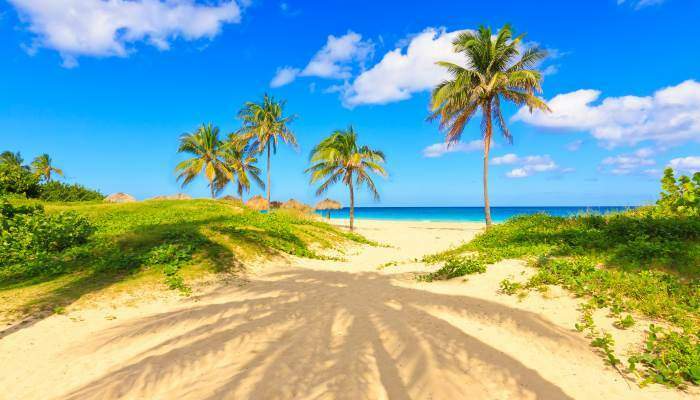 Lying on the Hicacos peninsula, Varadero is a thriving city, and many package holidays to Cuba are based here. Away from the beach you should visit Parque Josone, with its impressive tropical bird population, artificial lake and swimming pool. And don’t miss out on a Seafari Cayo Blanco boat trip where you can visit a deserted island and snorkel before lunch. A six-hour coach ride will take you to your next potential stop, Trinidad, a town with UNESCO World Heritage status, south of Varadero. This is where you’ll find much of the characteristics of Cuban culture that has left its indelible mark on our perception of the country. 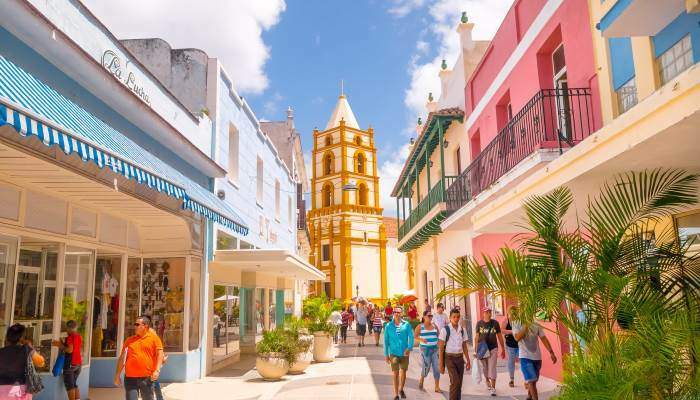 Spend your days soaking in the rich history of the city at its countless colonial mansions-turned-museums, learn to salsa at Casa Juan Carlos Orbea y la China and drift around the historical centre stopping to take endless photographs of the colonial buildings which give the city its cultural significance. 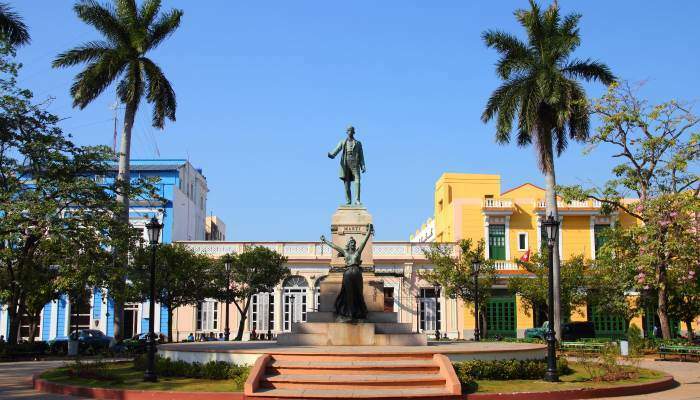 Camaguey is a province and city that is deeply ingrained in Cuba’s history. It’s recently celebrated its 500th anniversary and has plenty to offer in terms of attractions. 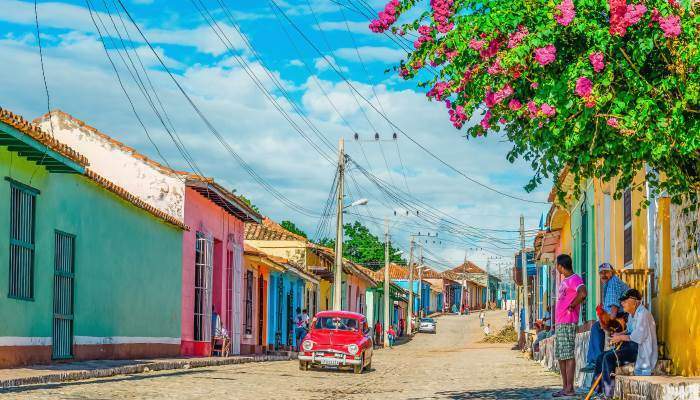 So it may come as a surprise that it’s one of the least touristic cities in Cuba. Its sinuous street layout hints at a tumultuous past – it’s said to have been designed to confuse the bands of pirates who would ransack the town in the 16th century. Now the labyrinthine alleyways are a defining characteristic of the city, as are the clay pots, or tinajón, used for collecting water, which can be seen at every turn. It’s is a great city to spend a day or two during your trip. This eastern province offers plenty in terms of natural scenery. You can take the coach there from Trinidad and then go on a day trip up to the coast. Playa Esmeralda and Guardalavaca are two of the most attractive beaches in the region – here you can swim in the shallow aquamarine ocean and sunbathe on sugary, white sand. The second largest city in Cuba is well connected to other major cities. You can take the train or the coach here and once you’re ready to leave, you can take the train all the way back to Havana. With many of the trains being second hand purchases from places like France and Germany, don’t expect luxurious conditions. But they will get you where you need to go. At only a short hop away from the Dominican Republic, Santiago de Cuba has a heavy Afro-Caribbean influence, which trickles through to the music and artwork produced in the city. 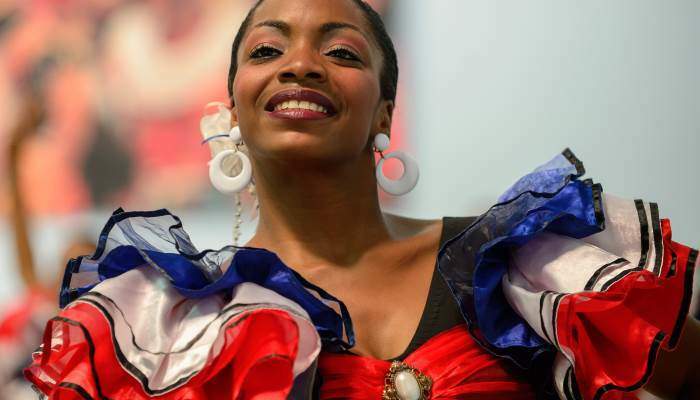 There’s also a carnival every July, which has African roots, and features music from comparsas, extravagant floats and a lively conga dance through the city. To the west of the city is Turquino National Park, a mass of mountainous terrain blanketed by dense forest inhabited by some 80 species of bird! 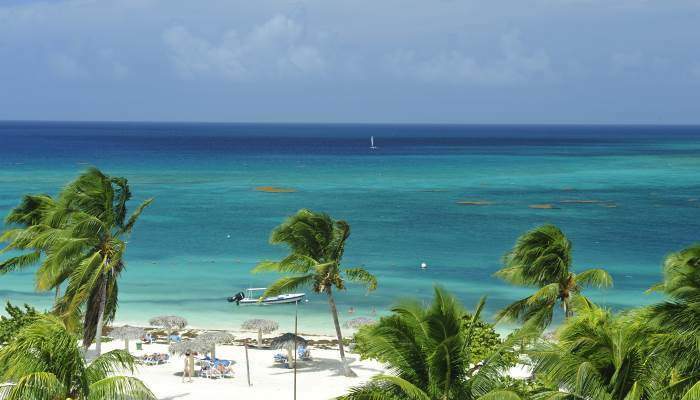 ← The Only Place in the World… One-of-a-kind-destinations!